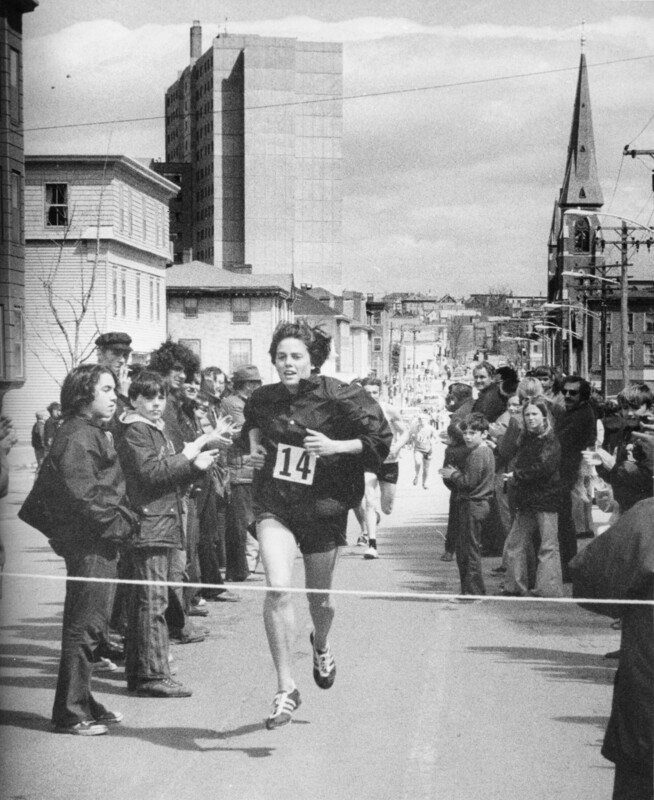 In 1972, Emery broke barriers by becoming one of first two women to run in the Patriots Day 5-miler. She wanted to run. And so she did, entering road races in Maine in which she was often the only woman running and in which race organizers reluctantly allowed her to enter. In 1972, Emery was one of the first two women to run in the Boys and Girls Club Patriots Day 5-miler in Portland, the state’s oldest annual road race. She finished ahead of Diane Fournier, now the track and field coach at Mt. Ararat High School. Now 72, Emery is still very active, running every day, 40 miles a week. On Saturday, she is returning to Portland for the 90th Patriots Day 5-Miler. Emery has won the race nine times (the most recent in 1986), but this marks the first time in more than 25 years that she will compete in the event. Emery remembers the 1972 run clearly, if only because of the reaction she and Fournier received. “That first time, everyone was amazed that Diane and I didn’t die running it,” she said. 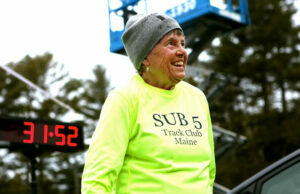 Emery, who lives in Lamoine in Hancock County, will be the official starter for Saturday morning’s 5-miler. She will run in the Patriots Day 5-kilometer, a race added two years ago by race officials — along with moving the event to the Saturday before Patriots Day — to help combat declining entries. The race course was also changed, though it still finishes in front of the Boys and Girls Club on Cumberland Avenue. The event raises scholarship money for members of the Boys and Girls clubs. Back in the 1970s and 1980s, the race included more than 1,000 runners. Last year, there were only 99 finishers in the 5-miler and another 67 in the 5K. As of Friday, 159 runners have registered for the two races. Race director Howie Chadbourne hopes that Emery’s presence will be a draw for other runners. “She is the person who started it for a lot of women around here,” he said. Emery took up competitive running in a time when women had few, if any, sports opportunities. She started running in 1967, one night choosing to pick up the pace on her 4-mile walk near her family’s home in Lamoine. And she was hooked. The two were were rivals for a while, and it was Samuelson who became the first female to beat Emery in a road race. That was in 1976, at the Patriots Day race. Samuelson, 18 at the time, ran the race in 28:19, breaking Emery’s course record of 29:10. Emery finished in 30:56. While Emery sometimes skipped the Portland race to run in the Boston Marathon, she loved running the Patriots Day race, running past the baked bean factory and later the bars, where men would stand outside and watch in amazement. “They couldn’t believe a woman was running,” she said.